Cho Lon has many traditional herb shops, which are basically pharmacies, but with cheaper and more colorful medecine! 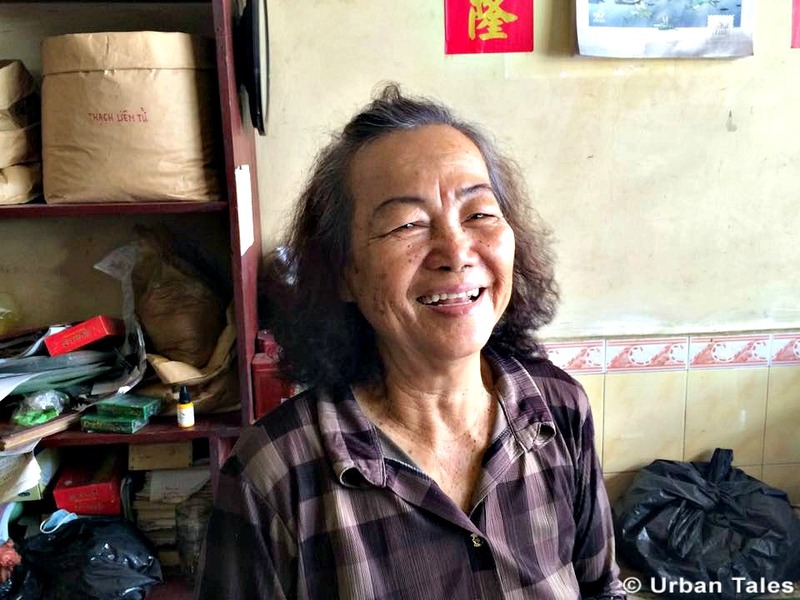 Although the Vietnamese practice modern medicine, they also rely on traditional Chinese methods of healing techniques based on centuries of practical experience. Treatment with medicinal herbs usually include wood, bark of special trees, ginseng root, other roots, and ground-up, dried animal parts brewed into herbal teas and ingested by the patient. 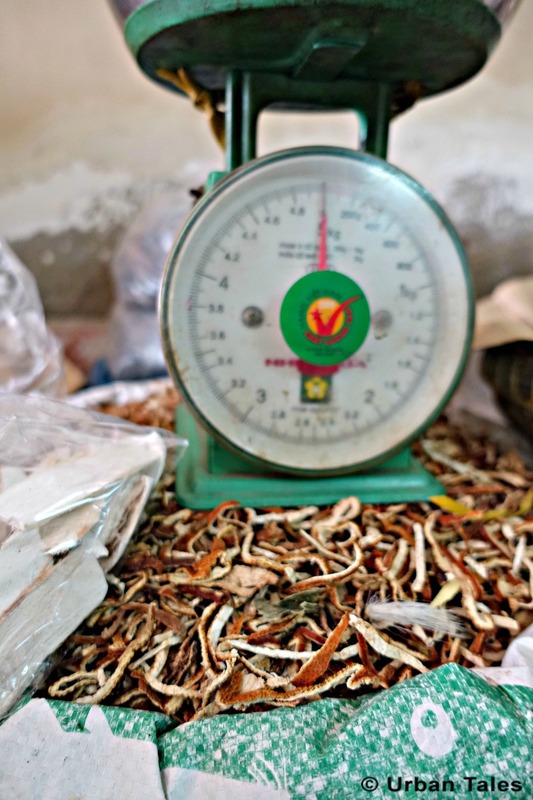 Prices of the medicinal herbs depend on their weight and how hard to find they are. Most of the herbalists still use an abacus to calculate the price of the herbs they sell and add up the items purchased, with an amazing rapidity. An abacus is a rectangular wooden board with dozens of beads. To most of us, it looks more like a tool coming from ancient times than a really useful item. Yet shop owners actually use those in their shops in Cho Lon! Do you know how to use an abacus? Most of us don’t. Want to learn? Let’s start with the basics! The abacus works on the place value system. Reading it is almost like reading a written numeral. A basic abacus consists of two rows of beads arranged in a variable number of columns. Each column in the top row should have one or two beads per row, while each column in the bottom row should have four. When you start, all of the beads should be up in the top row, and down in the bottom row. The beads in the top row represent the number value 5 and each bead in the bottom row represents the number value 1. In its start position or when it shows 0, the beads in the lower deck are all moved down while the beads in the upper deck are all moved up. Beads are considered counted, when moved towards the beam that separates the two decks. Once you become more familiar with the function of the abacus, you can assign different values to the beads in the bottom row to perform more complex operations. The beads in the top row, however, always need to be 5 times the value of each bead in the bottom row for the abacus method to work. Assign each column a place value: As on a modern calculator, each column of beads represents a “place” value from which you build a numeral. So, the farthest column on the right would be the “units” place (1-9), the second farthest the “tens” place (10-99), the third farthest the “hundreds” (100-999), and so on. To count a digit, push one bead to the “up” position. “One” would be represented by pushing a single bead from the bottom row in the farthest column on the right to the “up” position, “two” by pushing two, etc. When performing the addition 6+2, one would move 1 bead from the upper deck down (value = 5) and one bead from the lower deck up (value = 1); this represents 6. Moving 2 beads from the lower deck (in the same column) up (value = 1 * 2 beads = 2) would complete the operation. The answer is then obtained by reading resultant bead positions. What else, the abacus can be used to add, subtract, multiply and divide as well as work with sophisticated mathematical problems such as fractions and square root. Well, obviously that’s for the very regular users in love with mathematics! 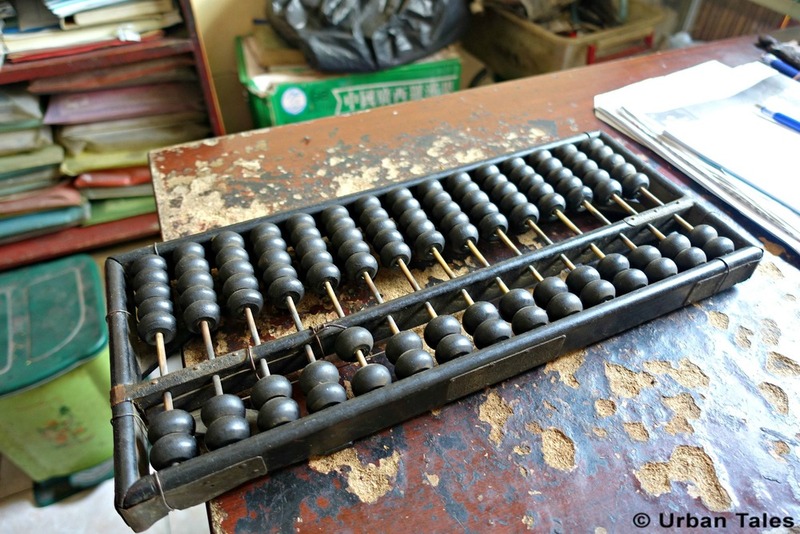 Some say that since it has a better “keyboard” than the modern electronic calculators, an abacus is actually faster when working with large amounts of numbers. We sure hope this did not give you a headache! 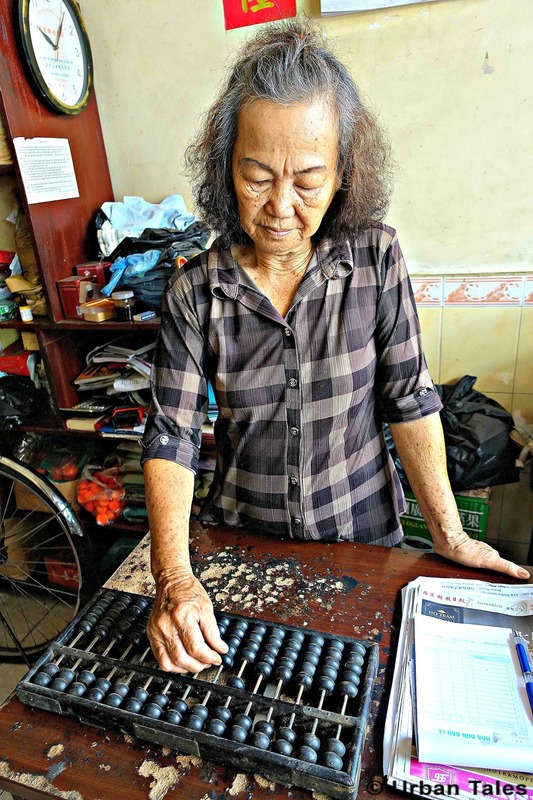 If you want to see some sellers using an abacus to prepare their bills, book our self-guided tour and come investigate on the strange case of Dr Lam!